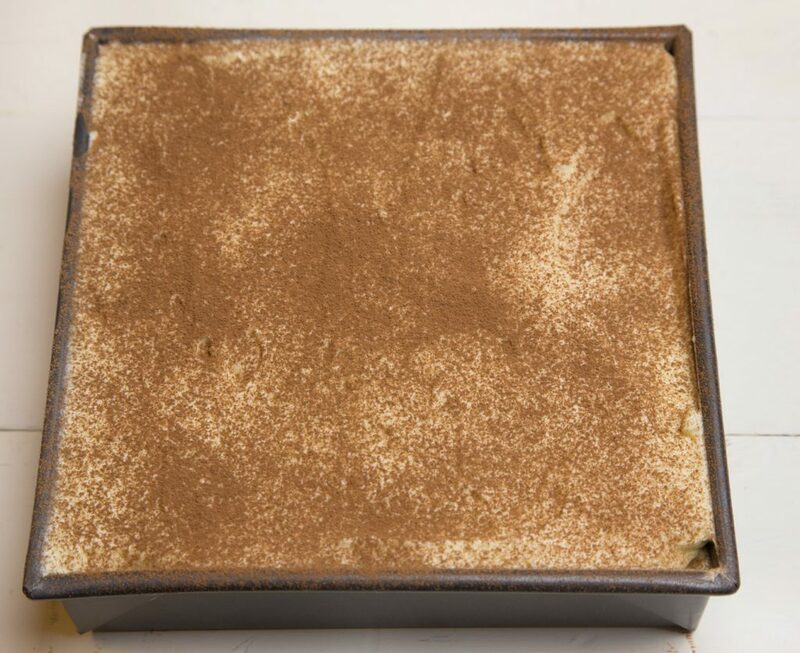 If you’ve tried my tiramisu recipe or any other recipe on askchefdennis.com please don’t forget to rate the recipe and let me know where you found it in the comments below, I love hearing from you! You can also FOLLOW ME on Instagram @chefdenniseats and @chefdennistravels, Twitter and Facebook. Chef Dennis. Wow. Just Wow. I never take the time to post a review, which admittedly is my bad as I rely heavily on the opinions of other reviewers when selecting one version over many others. I am an accomplished foodie, home cook and home baker. Your tiramisu may have been the best thing I have ever made. This note is for my fellow bakers. Thoroughly read Chef Dennis’ instructions starting at the top of the page. He gives you a tutorial for every step of this recipe. Like when he tells you to remove the Sabayon from the heat and whisk it until it’s thick. I whisked until my arm couldn’t take any more and I was rewarded! I have never made whipped cream that slow before and I was rewarded! This recipe is really well written. Follow each step in order and you will be rewarded! 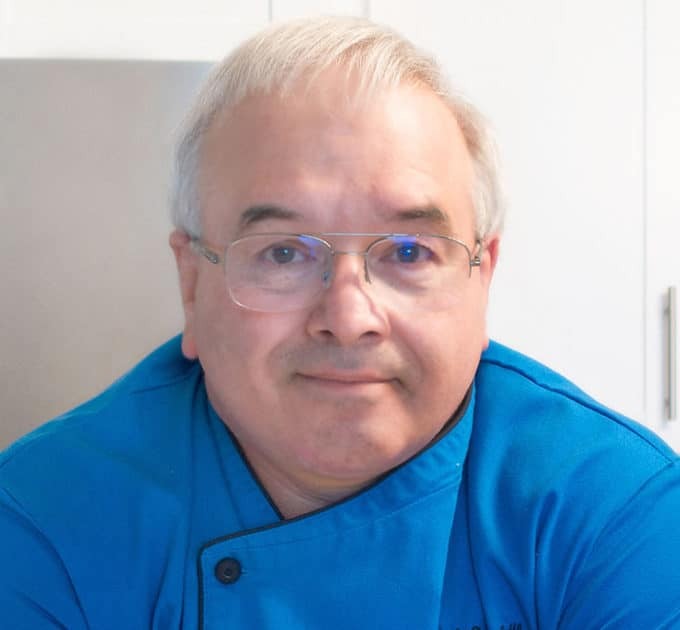 I would also like to give a shout-out to how respectful all reviewers are on this site and how kind Chef Dennis is when responding to novice cooks and bakers. Well done. thank you very much for such a wonderful comment and great review of my tiramisu! You don’t know how much it means to me to get a comment like yours. I try to make my recipes easy to understand and sometimes feel I failed when people have problems with them. Then I get a comment like this and my confidence is restored. I have never made Tiramisu before but decided for an Italian dinner I was putting on (since I like theme dinners) I would make it. I searched the Web of course and found this recipe. Decided this sounded good. My friends are Italians and they love to cook and are really good at it. She makes the best eggplant Parmesana I have ever had. I never even liked egg plant until I tried hers. They reached about it and said it is the best they have ever had. Some of our friends from Boston who Im sure have eaten in the finest restaurants all over the world said it is also the best they have ever had. It was so easy and so happy and proud that it got rave reviews. My first try!!!. Thanks for posting it. comments like yours make what I do all worthwhile Diane. Thank you so much for the great review and comment. I hope you find more recipes to try! Best Tiramisu recipe I’ve used!! The directions were easy to follow and the pictures helped immensely! 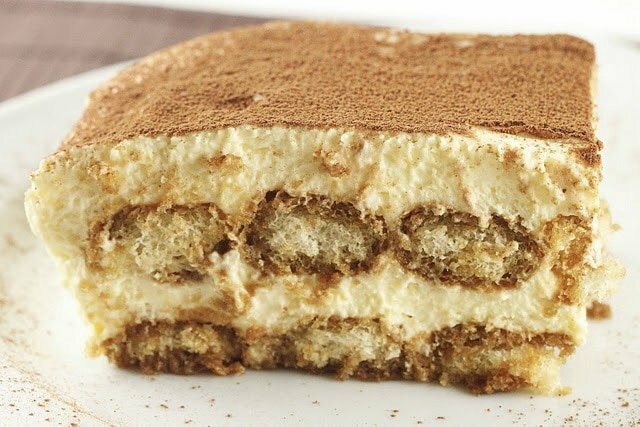 I am an Italian and I am glad to say, my grandmother (from Sicily) tasted this Tiramisu and said it was the best Tiramisu she has had since she moved here 50 yrs ago!! Thank you for the great review and your comment made my day! Thank your grandmother for the compliment, it means a lot to me! I have a question. What did you mean by doubling the recipe by 1.5? I need to make a 13×9 and the regular 9×9; what should I do? 1.5 will make a 13×9 pan. 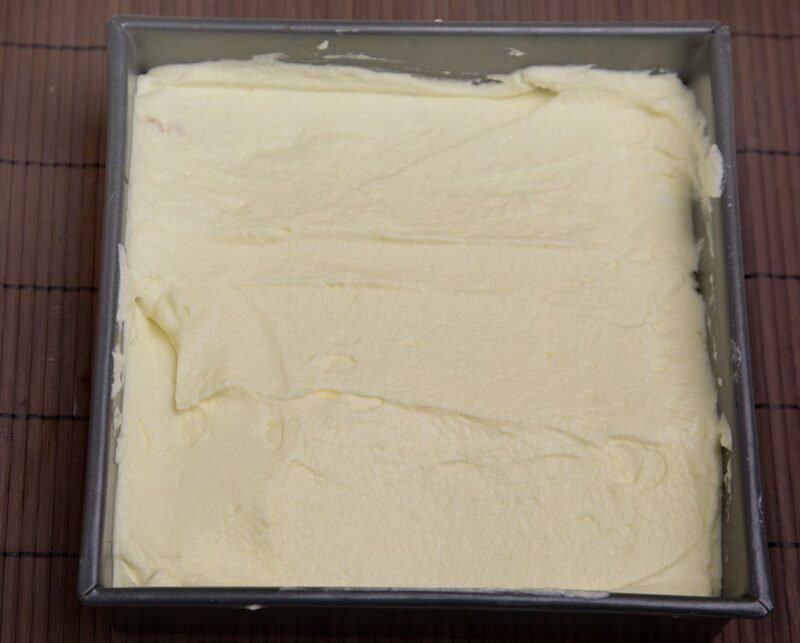 I regular recipe will make a 9×9 pan. Thats too much to make at one time, so you will need to make two batches, one for each size pan. A friend recommended this recipe, I will be trying it for my husband’s birthday this month. If I want to make it eggless what do you suggest I replace egg yolks with? Have you tried an eggless version? I’m sorry to say I’ve never tried an eggless version and have no suggestions. Are 10 mins in double boiler enough to cook the egg yolks? I basically want to avoid raw eggs. I know traditionally raw eggs are used in preparing tiramisu. It should be long enough, but to be sure use a thermometer and make sure the internal temp is at least 165.
that is exactly the type of cocoa powder that is used for the top. It’s a contrasting flavor that adds to the experience. That being said don’t overdo the amount you use. I have used Hershey but I usually look for a better quality cocoa powder. Most grocery stores carry Ghirardelli. Hello chef Dennis! Thank you for this recipe. This was my first time making a Tiramisu. I must say the taste was delicious, but I had a problem with it. Maybe you can help me figure out what I did wrong. Though I followed the recipe exactly how you explained, I felt that somewhere after making the sabayon and adding the mascarpone I failed to get the right consistency of the cream. Though I slightly cooled the sabayon as stated, I felt the cheese melted right in instead of whipping up so this gave me more of a custard like consistency even after adding the whipped cream. I did use the electric mixer to mix the mascarpone. Any tips to fix this and to acheive a fluffy light texture? Thanks again. Perhaps you need to let the sabayon cool a little longer. It will be more of a cream/custard than a light and fluffy combination. Gently folding in the whipped cream will make it fluffier but it will still be a little dense from the egg yolks and mascarpone. As long as the tiramisu stayed together and you could cut it, everything is fine. Thanks for all the details. My daughter in law says this is the best. I am looking to make it for a dinner party where I was asked to bring dessert. I always get nervous trying a new recipe. I plan to make on Thursday for a Saturday dinner. I may have missed it, but did you ascribe how to store in refrigerator? With plastic wrap on top? Yes cover it with plastic wrap without the cocoa, and add the cocoa to the top when you go to serve it. no problem Jayne. I’ve had great success with this version and everyone who tries it seems to love it. HI, is there a reason you didnt use the egg white method? I would like to try both methods and see what the actual difference in taste and texture is. I’ve decided that im going to try your recipe first! but was just wondering what the benefits are of the egg-white method and whether or not you had tried it. Thank you for sharing your recipe and easy to follow directions. I have never been a particular fan of Tiramisu but with your recipe, I can say that I am now. This was a delicious treat – I made it especially for my husband’s birthday. A standout dessert for sure!! Thanks for the comment and great review Glinda! I’m happy to hear you enjoyed my favorite dessert! I am so glad I found your site. 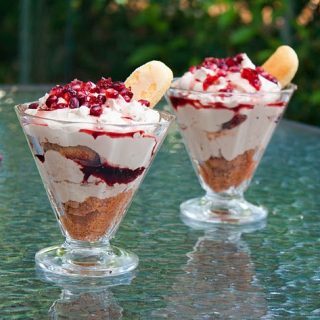 I was looing for a tiramisu recipe and now i am hooked to your site ! This Tiramisu turned out to be extremely light and perfectly flavored. I did make a separate batch for kids without coffee liquor and that tasted equally good ! I couldn’t be happier ! I’m happy to hear that you enjoyed my recipe! thanks for the comment and great rating! I just watched your video in preparation for making your tiramisu. I noticed you mentioned tiramisu being forgiving when it comes to quantities and ratios. Turns out i only have 1 cup of whipping cream and about 350-375gm of mascarpone. Do you think this will still work? 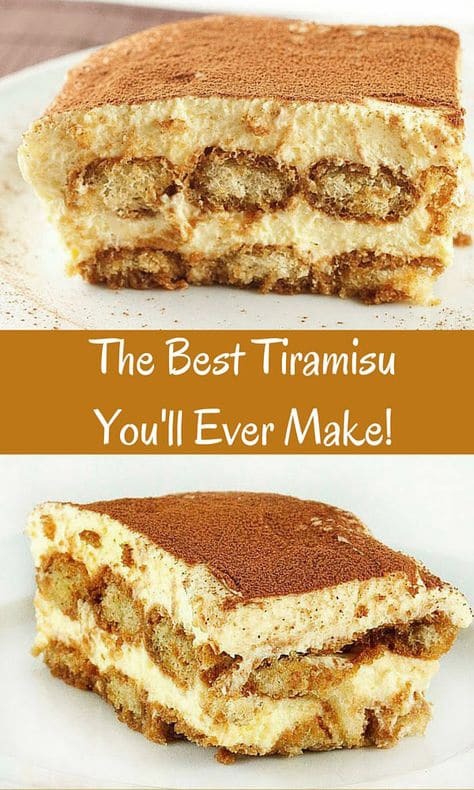 This definitely will be my go to tiramisu recipe! It is soooo good and very light. I made it yesterday for our anniversary since my husband loves tiramisu and needless to say it’s now gone. Yum!! Thank you for the comment and the great review, I’m very happy to hear that you enjoyed my tiramisu! Please tell your family and friends where you found it. and a sincere thank you. I once had a chef who made sensational Tiramisu at our restaurant here in Perth Australia about 12 years ago. WOW – this is it! You just made my day when I tried your recipe. Simply sensational Tiramisu. We had many Italians coming in who said ours was the best they’d ever had, and some even said it was better than any they tried anywhere in Italy. Your recipe is identical in taste as I remember it. The secret I would think it was the addition of Kahlua as opposed to Marsala or some other, I know we used whipped cream with the other ingredients. The Kahlua beautifully compliments all the other ingredients. Before signing off, I’d like to ask you a question, in case you happen to know the answer or may have tried it. 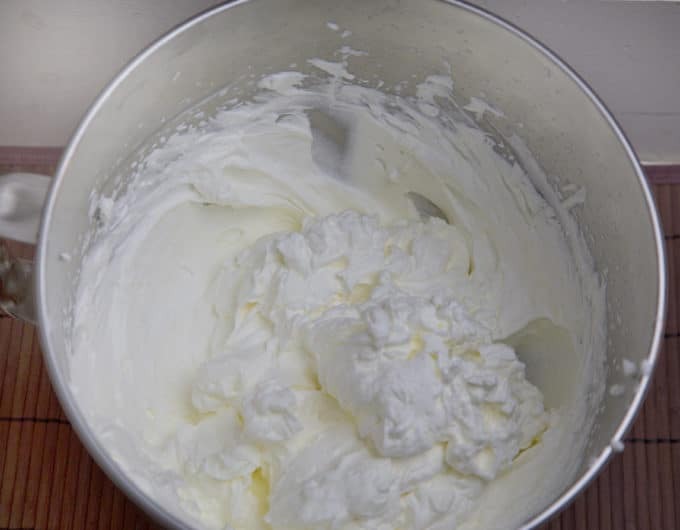 What would it be like or is it possible if we were to whip the left over egg whites to a stiff peak and then add them to the cream mixture. I ask because I saw another recipe in doing my research where someone did this and omitted the whipped cream. Thanks again and since this recipe was so damn good, I’m busy looking at your other recipes. Thanks for trying my recipe Russell it is definitely a keeper! 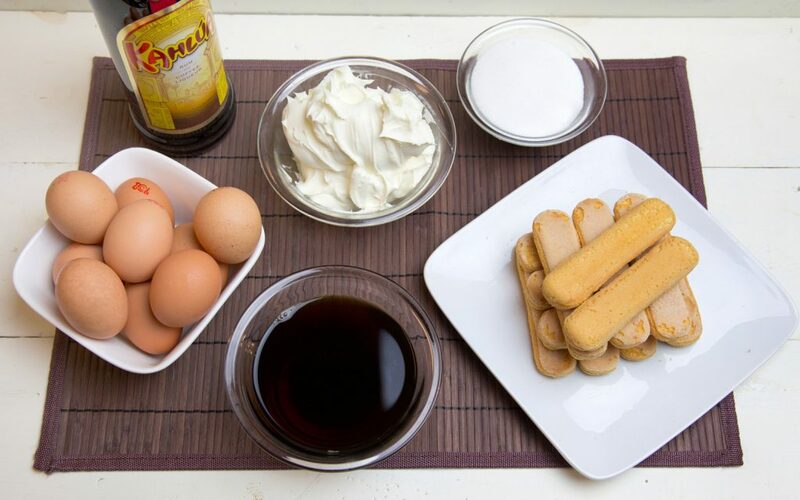 The recipes you see using the egg whites is the Southern Italy version of tiramisu. The more decadent version using heavy cream comes from Northern Italy where they had more dairy products. I have honestly never tried the egg white version or tried incorporating them into the recipe. It would be an interesting experiment for you to try sometime. It shouldn’t affect the overall flavor but it will make it somewhat less rich. I hope you find more recipes to try, I’ve got a killer chocolate mousse recipe as well lots of delicious and easy restaurant style entrees. Why did my whip cream turn out watery? Did you use Heavy Cream? If it was closed to expiration date it could break down. The cream should be very cold. Other than that there is no reason. I NEED HELP!! Which Lady Fingers are correct? The recipe says ‘crunchy’ so does that mean Bonomi Savoiardi Lady Fingers, or Alessi Biscotti Savoiardi Lady Fingers. The one I think is like a cookie, so does that make it crunchy? I need help ASAP please, as I need to buy the ingredients tomorrow. Hi I’m excited to try this recipe. But I noticed that you stated to use 1/2 cup sugar but the printed recipe shows 1 cup. So not sure which? the 1/2 cup you are talking about refers to the egg yolks. 1 cup of sugar is the correct amount. This is my first attempt at making tiramisu. Had to make the substitution for the mascarpone but it turned out delicious! I could only locate the soft ladyfingers so I just made sure they got a very quick dunk in the espresso so they wouldn’t fall apart. Great recipe. The soft ladyfingers will do in a pinch. I’m happy to hear it turned out well! Hello! I’m dying to try your recipe. In the recipe it indicates 1 cup of sugar. By reading it I would have assumed regular granulated. I just watch your video on this recipe and note you put regular granulated sugar into a food processor to refine it. We have a very fine sugar here called “berry sugar”. Would it be better to use 1 cup of berry sugar instead of 1 cup of regular granulated sugar? It would save me the hassle of refining it. If I hadn’t watched the video I would have thought to use just regular sugar. Thank you. by all means if you have extra fine sugar (aka bar sugar) you can use that. Same cup measurement. I made it for the first time over the holiday break and it was a HUGE hit, despite me making some beginner’s errors with the sabayon and the whipped cream, as well as not having access to all my usual baking gear (the Airbnb didn’t have the right hand mixer etc. LOL). We are expecting company this weekend, and I am gonna try it again. This is a very silly Q – but would it be ok for me to make this in an 8-inch square pan instead of a 9-inch one? Since there is no baking involved, I am assuming it should be okay, but I wanted to double check to see if I needed to make any substitutions to the recipe. Thanks so much for sharing this recipe with us, Chef. It’s incredible, and the alcohol-optional is a tremendous bonus for my family! Thank you so much. I have been looking for a great Tiramisu recipe for a few years now. I have always been disappointed. This recipe is amazing…everyone loved it. Went to our local Italian barista and he made me the espresso with the imported coffee beans…what a taste!! My husband has been BEGGING me to make tiramisu for years now. Your recipe looks awesome, so I’m going to give it a shot. Silly question, but can I use my kitchenaid stand mixer for the whipped cream? you sure can use the mixer, just start it off slow and let it take 7-10 minutes to whip. That will help it keep its shape. Can this be made without the heavy whipping cream? Is there a healthier substitution? I have never made it with anything else. I’m not sure what a healthy substitute might be, but anything you could whip that resembles whipped cream (and will remain stable) should work. I just made your recipe for the first time. I love your website – clear and easy to understand instructions and pics. It all went according to your descriptions and measurements were spot on. It now sits in the fridge overnight. “I hope there’s Tiramisu for breakfast, Neighbor Stone”. I am making this tomorrow, but I am a bit confused from reading the article as to which part the marscapone goes in. Does it go into the sabayon and stired/mixed in, or is it whipped in with the cream? The first part reads “Next add the marscapone and whip till fluffy” (add it to what?) and the recipe reads “ and marscapone to whipped sabayon” Is there also a point where the cheese should be getting g whipped with either the eggs or the cream? Follow the directions as numbered. 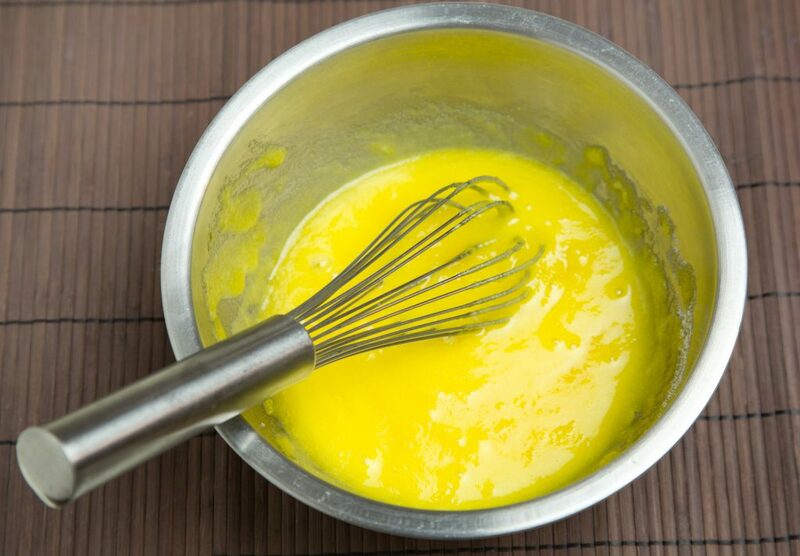 1.Combine egg yolks and sugar in the top of a double boiler, over boiling water. Reduce heat to low, and cook for about 10 minutes, stirring constantly. This is your sabayon, remove from the heat and whip yolks until thick and lemon-colored. Allow to cool briefly before mixing in mascarpone. 2. Add Mascarpone to whipped yolks, beat until combined. Correction to my last review. I’m making a double batch of Tiramisu now for others to enjoy. Your recipe inspired my creativity. This would be great for kids, to impress your guests for dinner parties, or just because you don’t want to have large pieces. – Create or buy chocolate dessert cups. I only used 12, You’ll still have enough Tiramisu to make a regular dessert. 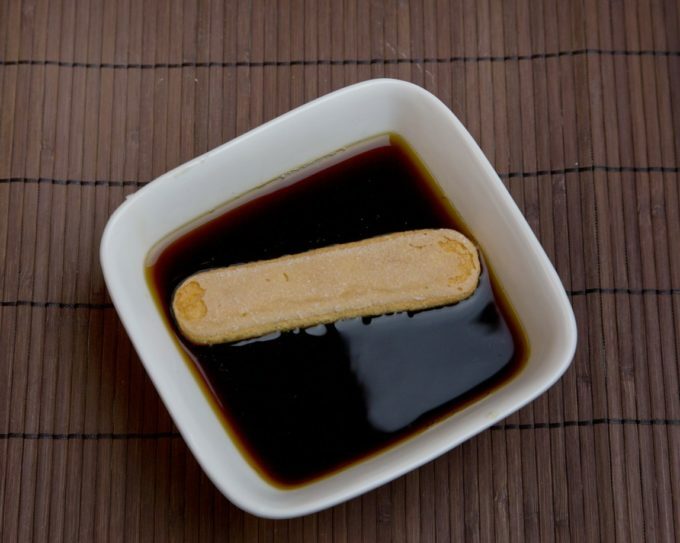 – Cut, dunk and drop a large enough piece of coffee covered ladyfinger in the bottom. It should be large enough to fit close to the edge. 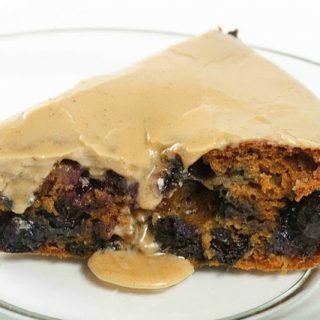 If you’re making this with kids in mind, leave out the coffee flavored liqueur. 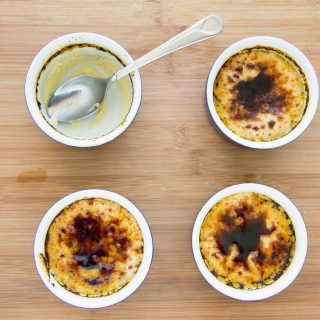 – Using a large decorating tip (I used 2D), Pipe your Tiramisu in 2 small circles over the ladyfinger and to the edge of the chocolate cup. – Springle a small amount of cocoa on top (I used finely grated chocolate: 70% cocoa mixed with Cadbury Special Dark. I lightly mashed it into a finer powdery mix). – Refrigerate immediately until ready to serve. The chocolate may sweat after leaving the fridge so make sure not to leave them out before serving. This is my last entry Chef. I’m just an excited mom enjoying what you created. I wanted to share this alternate option as a way to add to the experience. I have no idea if you work in a restaurant or not, but this could be something to use in one. Whoever tries this, I hope they get rave reviews from those that eat it..,your recipe with a twist in the building process. Thank you so very much Chef Dennis! Have a fabulous year. My, my, my and good gracious! I am SO GLAD that you were put on this earth! * raising hand* I was a Tiramisu Virgin until 1-28-19. I actually did much like Leslie on Dec 30, 2018 described. When I originally made the sabayon, it came out in a tiny cooked egg mess! My biggest problem was that I had tripled the recipe because I was making it as a “Thank you” gift to the hospital clinic staff where I get my regular checkups. So I just ruined 18 eggs! Off to the store for more….another trip later for more cream. The second batches perfect! Because I was making such a large portion, the steady stream of milk was a bit difficult. I found that dipping my measuring cup in the cream and drizzling it in while I whipped it saved the egg from cooking. I only used enough to thin the mixture, then I started drizzling the mixture into my cream and it was fine. Building it was my favorite part. I had enough for two small 8×8 pans and one large 13×9. I couldn’t wait to taste it! Letting it sit over night was PERFECT! I gave one small pan to a neighbor. She sent me a text telling me how amazing it was and that I had to make it for her birthday. The next morning, she said she had it for breakfast! I have had tiramisu at restaurants before and they were always on the side of, “ok”. But this was my first time making it myself. I even had a mix of 70% dark chocolate mixed with Cadbury’s dark chocolate and used that instead of cocoa. Let me just say, I’m making it again tomorrow for a dinner party and will be donating another to another neighbor. I’m sorry you had a problem with your first attempt Cecilia, but tripling the recipe would have been hard for me to pull off! I’m glad you got through it and it was well received. This is one of the few desserts my wife will eat at breakfast so I understand your neighbor. I made this cake today…. for my husband’s birthday. Don’t know the result yet…. waiting until it sets in the fridge. 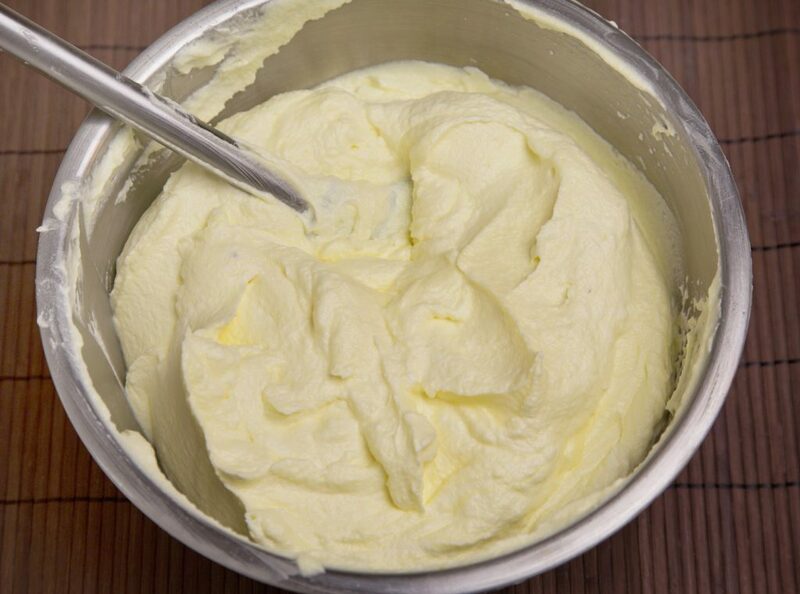 The only comment I can add….. whisking a whipping cream for 10 min in strong mixer like Kitchenaid will give you butter. That happened to me…. had to run to the store for more cream…. you have to whip it slowly over 10 minutes. I use a Kitchenaid too. Hi Chef. My friend has made your tiramisu many times, and it is delicious! Like I want to eat the entire pan delicious! I finally asked for the recipe and am going to try and make it for an upcoming bible study. Some members of our group don’t drink though. What can I use in place of the Kalua, or should I just leave it out? I’m happy to hear you’re going to make Tiramisu for your friends Christie. And leaving out the Kahlua is okay, it does enhance the coffee flavor but definitely not a deal breaker. Please let me know how you do and how your friends like the tiramisu. I have not tried your recipe yet but will be making it this weekend. I have given your recipe to my daughter who will be trying it out today. Can I a pregnant lady have this tiramisu? I’ll reduce the kahlua – but is it ok with the eggs in it? I’ll be making it tomorrow so need to know urgently. The eggs are cooked but that’s a question you need to ask you doctor. Thank you so much. I ended up making it and it was a big hit! I’m making it again tonight – the only issue I had was when I tried to cut a square piece to put into individual serving bowls, it wasn’t as set as I would’ve wanted it to be. How can I set it more? This was after 2 days of being in the fridge. I want the square to come out as perfectly as it is in your picture? I’m just wondering g how it would be if I remove the whipping cream and add more marscopone? Sam the only thing I can think of is that the sabayon wasn’t thick enough. If you whipped the cream slowly and got it very thick it should affect the tiramisu. 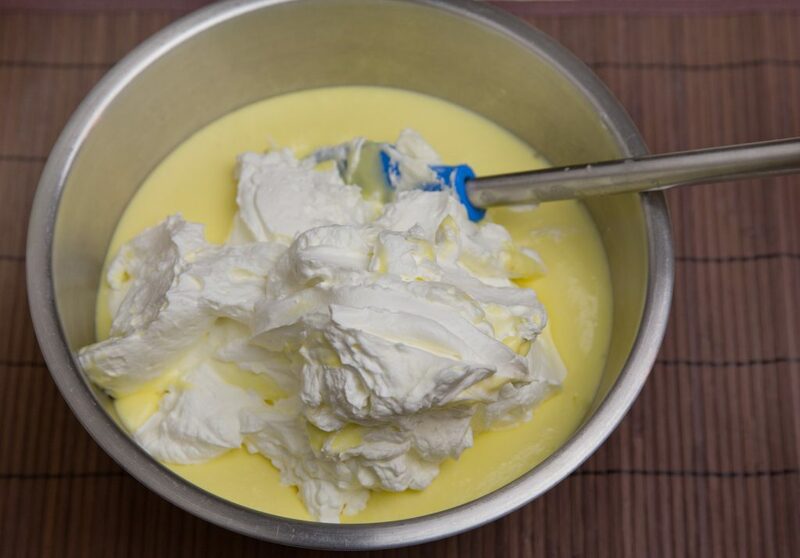 Adding more mascarpone won’t really help, the main reason it thickens is the sabayon. Also make sure the eggs. mascarpone and cream are as fresh possible. I have had trouble when they were close to their expiration date. 3. Do I need to use gelatin so the frosting holds its shape? I rather not use gelatin. you don’t need gelatin as long as you follow the directions and it forms correctly. A springform pan will work, you may want to make 1.5 times the recipe to make sure you have enough. A cake board will be helpful for transfer. The dessert was SUPER HIT!! Everyone loved it and couldn’t stop talking about how light and airy the filling was. Thank you for this wonderful recipe and your time to help us problem solve. I’m happy to hear the tiramisu was a success, thanks for letting me know! I love your tiramisu recipe! I have made it so many times, I cannot count. In fact, I’m eating it for breakfast right now. Several things that I love about your recipe; you gently cook the sabayone so no raw egg issues, you do not use Marsala wine-I do NOT like this taste, I use Kahlua, and–you are so clear about what to do and why. I love my tiramisu better than most that I get in Italian restaurants!!! Thanks for the wonderful comment Jennifer! I’m thrilled to hear that you’ve been enjoying my tiramisu recipe and find the instructions clear. The best recipe I have ever made and tasted. Thank you Chef Dennis. This recipe sounds great, but can you make one using whole eggs (maybe 3) instead of just yolks? Sorry, but that won’t work. 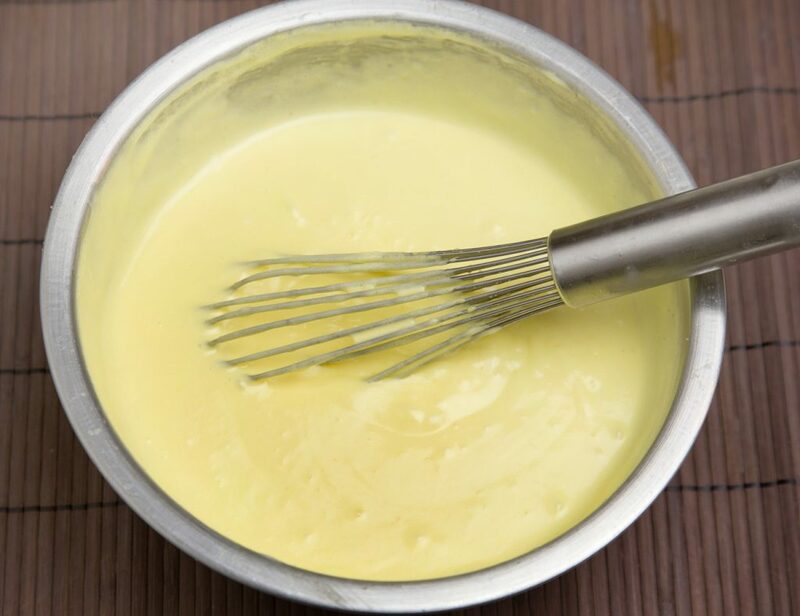 You need the yolks to make sabayon. I followed the recipe (except for Kahlua) and I have never NEVER tried a better tiramisu. I thought I had Kahlua, but I forgot it was Bailey’s. Since Baileys needed a little bite, I added very good whiskey from my husbands stash 😂😂😂 Well, it turned out very well, actually. Thank you Chef Dennis for your amazing recipes, I loved it! Wanting to prepare in a 10×14 dish. Will doubling recipe be sufficient? Wondering if I could use Bailey’s. I have made it twice but with coffee brandy. I have Bailey’s in the cupboard. Thank you. Made this today and the flavor was a little bitter. Would that be because I used Espresso or the rum? Any suggestions? Thank you. I made this for Christmas and was a big hit. I couldn’t find Italian lady fingers (only the very soft kind) so I substituted them with Marguerite cookies and it worked well. I just had to soak them a little longer in the espresso since they are more dense. it sounds like you made a good substitution. Thanks for the great review! That is music to my ears! Thank you for the great review! Thank you for this tried and true recipe! I LOVE tiramisu and turn my nose up to it at so many places that just can’t get it right. My ‘go-to’ cafe closed a few years ago and I have been an unhappy momma until now! Now my 7 year old son is spoiled rotten! Now that I have the technique down, what varriations can you suggest?? Thanks again! Thank you for the great review Jessica! I know what you mean about being spoiled, most tiramisu you get out won’t even come close to this recipe. 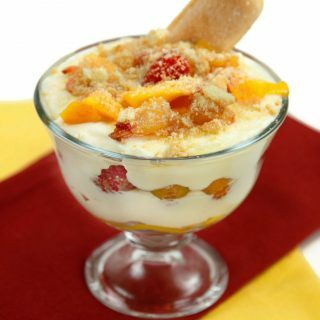 During the summer I’ve used the cream to make fruit tiramisu with peaches, raspberries and other seasonal fruit. You can also use the sabayon to make ice cream if you have an ice cream maker. Hello! Just made tiramisu last night following your recipe and I’m in LOVE with it. Thank you so much!!!! That’s what I like to hear! Thank you for the great review! We went with friends to an Italian restaurant last night for dinner and came back to our place to have dessert and finish off the year. I thought I would make tiramisu which I have never made before. 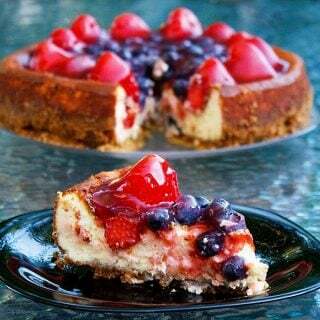 I chose this recipe based on its name, easy to follow instructions and the number of stars/votes it had received. I must say that it truly is the best tiramisu all of us have ever had, and it does beat out the one I had in Italy last year!! I used Kahlua as the liqueur option and dusted the first layer with cocoa as well. It was “to die for” as my husband said. Thank you for the great review and comment Laurie! I’m thrilled to hear that you all enjoyed my tiramisu recipe! Great recipe. Do I cover the tiramisu or leave it uncovered for overnight set-up? You can cover it, while its in the fridge. Do I mix in the mascarpone while the eggs are still warm? Hands down, this is the best tiramisu recipe that i have ever made. And I will say that I followed the recipe to the letter–ingredients were fresh and at room temperature (except the whipping cream of course). And no substitutions of any kind. Now I’ll tell you on my 1st attempt, I obviously did something wrong. On the 1st attempt, I put my bowl of eggs and sugar over boiling water. I reduced the heat to a simmer and whipped for the fill 10 minutes. At the end of the 10 minutes, I had a gritty, non usable mess. I was not deterred. I would start over. The only thing I could think of that caused the failute is that the water was boiling too fast. So, Take 2: I reduced the heat to a simmer and again whipped the eggs and sugar for a full 10 minutes. Perfect sabayon! The rest was a breeze. I made strong Italian coffee and after it cooled, I added the Kahlua. Unless you are alcohol sensitive, I would recommend using the Kahlua. It adds another dimension of flavor that you just wouldn’t get with espresso or strong coffee alone. Something like a peanut butter sandwich is good, but a peanut butter sandwich with jam just “makes” the sandwich. I was careful to dip the lady fingers for no more than a second. This too is important. Every step of the recipe was well explained and left no room for question as to the process. Wow! Thank you so much for your comments. Thank you for taking the time and generosity to mention that very important detail in the first step which is to reduce the heat as soon as the water boils an keep it ssimmering and not bowling when you make the sabayon. I could have missed that one too. Mille mercis! I made this recipe a few times now and it always turns out great. My family loves it. My husband needs to eat glutenfree so I make GF ladyfingers and use those instead. They get a bit more soggy but it still tastes delicious. 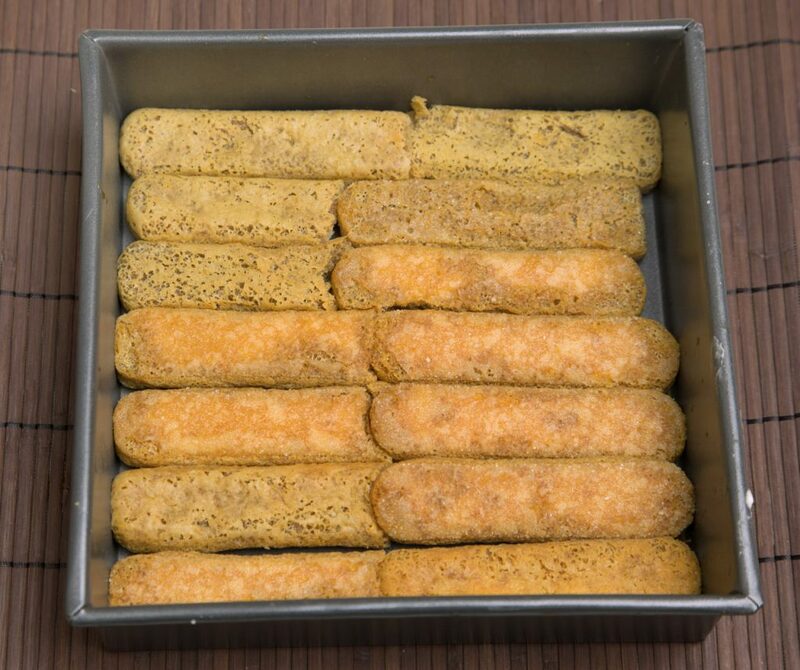 I don’t know if you’ve ever heard of their products but Dr. Shar (https://www.schaer.com/en-us/po/gluten-free-products) makes gluten-free ladyfingers. Although I don’t know if they hold up any better. You can also try brushing the ladyfingers instead of dipping them so they don’t get as wet. Ben you just made my day with your comment! Thank you so much for taking the time to make my tiramisu and for leaving such a great comment! I used espresso, but was unsure of how much espresso to use. Instructions on the bottle states using 4 tbl. per one cup of water when making Tiramisu. I think it was maybe too strong. How much espresso do you use in the one cup of water? are you using instant espresso? If so thats an awful lot of espresso. Usually its two teaspoons per cup. Wow!!!!!!!!!!! I really used to much, next time I will try using 2 tsp. Otherwise the Tiramisu was great. I will definitely make it again as it is one of my daughters favorite. Do you use unsweetened cocoa powder for dusting? This is the first time I have made this recipe and I loved it! I was a little confused about what to do with the egg whites but found the answer in the comment section. I doubled the recipe to fill a 9×13 pan and a small glass Tupperware dish (a separate stash for my husband who is crazy for Tiramisu). It was delicious! Thank you! Egg whites are awesome. Easy to use for meringue, coffee kisses or any meringue cookies you desire. I never have enough egg whites. Best ever! We ate every bit of it. Mine didn’t completely set either but from reading the previous comments I know I didn’t whip the sabayon long enough. Thanks ! Made it twice now. Very good. Used the beaters on low while heating the egg mixture. This worked well and kept the yolks from getting dry. Everyone loves it. I used espresso, Kahlua and rum. Also made a mini portion with black tea concentrate with rum for my coffee-hating hubby. It sounds like you’re a pro at making tiramisu now! Thanks for sharing your success and the great review! Dear Chef Dennis, I made this yesterday, and I saved a little in a container as a “quality check” to make sure I did it right before I bring the main dish to a party. It is delicious!!! Thank you so much. I do not cook much, and I really appreciate your clear instructions, tips and the video. I already ordered ingredients to make more tiramisu and I signed up for your emails! Regarding the coffee mixture, if we start with 1.5 cups of liquid (1 cup coffee/espresso and 1/2 cup rum), how much leftover liquid do you have after dipping the two packages of SAVOIARDI ladyfingers? I tried the 1-2 second count on each side and I was left over with around 2/3 cup of liquid, and wanted to know if that is normal or if more of the liquid should have made it into the ladyfingers. Many thanks. Happy holidays!!!! I do have a more liquid then needed because some people do dip them longer. As long as they got enough of the mixture you’re fine. Made at Thanksgiving and doing for Christmas. Family loves Tiramisu and have moved out of the city where a friend use to get it. Thanks for the comment and great review Kathy! Merry Christmas! no prep, its just a clean pan. The yolks of my large eggs were very small and I ended up with a solid sugared yolk mixture. I ended up adding more yolks to get the color/consistency of the pictures you provided with the steps. Can you provide the weight/volume of the yolks that the receipe calls for so that I can get it right even if I have small yolks. Thank you. Hey Dennis! I’ve made this recipe a couple times and recently the tiramisu has not been setting even if I’ve left it in the fridge for two nights. It tastes great, but it doesn’t keep its shape when I cut into it. What am I doing wrong? If you are doing things the same way you have in the past, The only thing that could be affecting the finished product is the age of the ingredients. I have found that using mascarpone, cream or eggs close to their end date can cause the cream to break down. Other than that, you may try to whip the sabayon longer to get it thicker as well as whipping the cream a little longer. This is soo easy to make and is delicious. Made it for Thanksgiving and making it again for Christmas.Definitely a 5 star recipe . I doubled the recipe and it made a 15×10 pan. Thank you Michelle! 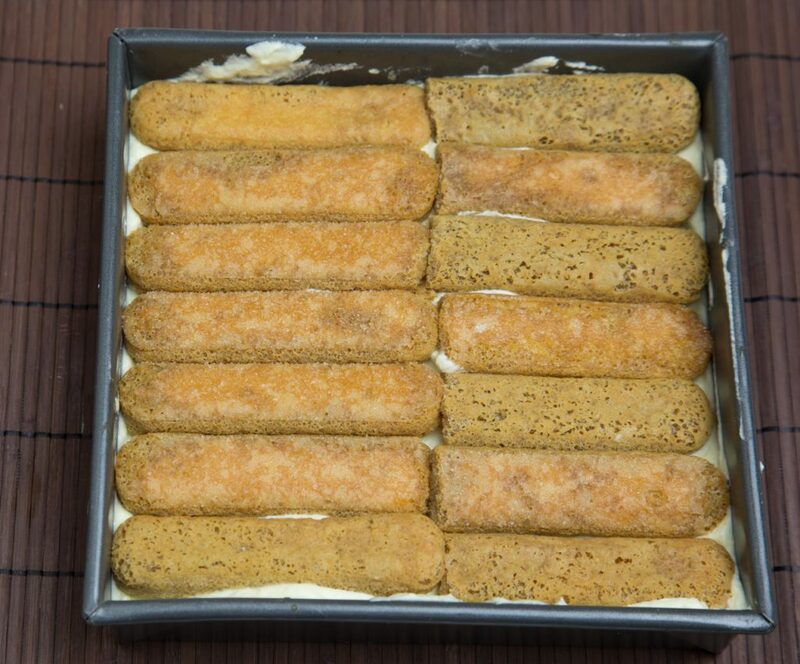 I’m very happy to hear that you enjoyed my recipe for tiramisu, its my favorite dessert! 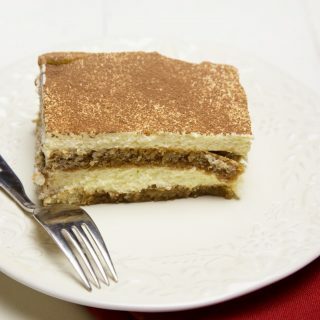 I have made this recipe numerous times I just want to say that it is the “Best Tiramisu “my family loves it !! Thank you so much for letting me know you’ve been enjoying my recipe for tiramisu! Publix does make it hard to find the ladyfingers, Even the store manager had a hard time finding them the first time we looked. I’m happy to hear that you gave my recipe a try and thanks for the great review! How do I mix some Kahlua into the marscapone mixture? At what point is it best to do this or should I avoid it altogether? PS: I am so pleased to know that this is almost identical to my own recipe. And tiramisu is one of the most heavenly foods ever. I wouldn’t add any additional kahlua to the mascarpone mixture, It really won’t enhance the flavor. Is the sugar supposed to dissolve with the egg yolk over the double boiler? This happened to me too and I was so worried!! While the sabayon sat and I whipped the cream it resolved. No more grainy sabayon! I was so relieved. Next time I hope to avoid that by mixing the egg yolks and then slowly mixing in the sugar. Wondering if one and one half times the ingredients will work for a 9 x 13 inch pan? Yes they will. If you have a little tiramisu cream left I’m sure you’ll enjoy it! I’m having 25 guests. Can this recipe be doubled or tripled?